Europe is in the midst of the greatest mass movement of people across it since the Second World War. Millions have made the long, arduous and often dangerous journey to Europe by land or sea from the Asian and the African continents to flee from the effects of war in those regions. In 2016 alone, more than 348,664 people have entered Europe irregularly to seek refuge. In doing so, almost 5,000 have died attempting to cross the Mediterranean sea from the Asian and African continents https://missingmigrants.iom.int. The numbers tragically rise on an almost daily basis. Rather than provide these asylum seekers with safe passage and asylum with all the associated rights contained in the 1951 Geneva Convention, the EU has taken an approach which attempts to deter these people from seeking refuge in Europe. Human rights are systematically breached from the moment an asylum seeker reaches the continent, with inhumane and degrading reception conditions as well as incredibly unjust and unlawful asylum procedures the norm across Europe. Every step an asylum seeker takes further into Europe is met with hostility. The EU wishes to make it abundantly clear that it is a Fortress and refugees are certainly not welcome. In this context, the term ‘Refugee Crisis’ is a poor misnomer, seemingly absolving EU member states of having created a problem arising from European illegal intervention abroad and racist indifference and hostility at home. Lesvos, an island located in the Mediterranean sea between Turkey and Greece, serves as one of the primary gateways to Europe for many of those fleeing war in Asia. 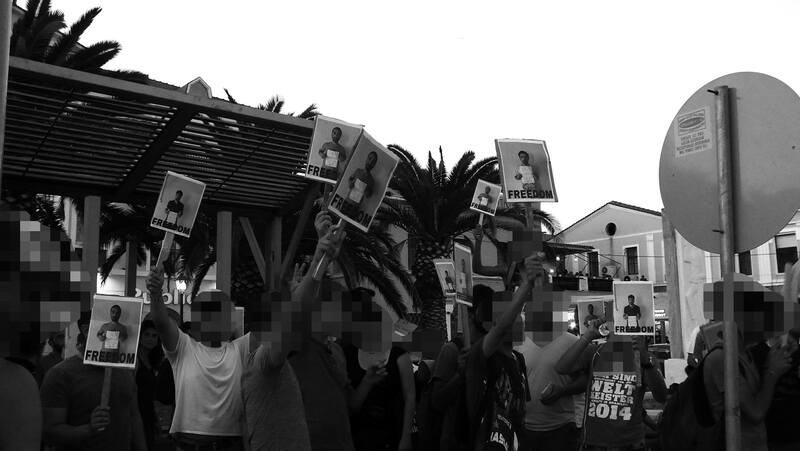 Once a place of transit for these individuals, the agreement reached between the EU and Turkey in March of 2016 has seen the Island become a place of detention. Thousands anxiously wait to see whether they will be transferred back to Turkey, a country controversially considered ‘a safe third country’ despite its arbitrary detention, refoulement and shooting of refugees. The refugees of Lesvos, men, women and children, families and individuals alike, are in an incredibly vulnerable position. Detained by the Greek authorities, they are unaware of their rights and often unable to access legal help or representation. 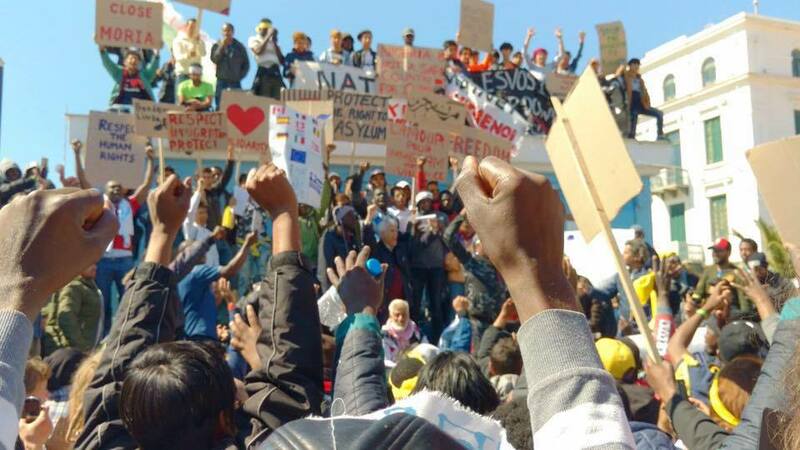 International solidarity is fundamental in trying to help individuals arriving to Lesvos from Turkey in defending their rights. 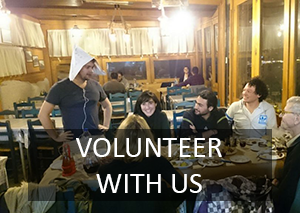 A small group of legally trained international volunteers based in Lesvos provide legal information and assistance to asylum seekers and migrants, whilst supporting Greek lawyers in their provision of legal advice and representation. The information that we collect whilst operating within the Legal Centre serves as a basis for press statements, human rights reports and legal strategies. While legal aid is essential, the important political actors within this ‘crisis’ are refugees themselves. We strive therefore not only to provide direct legal representation, but to work with refugee communities and support their organizing and advocacy efforts to realize their rights. We fund our work through individual donations and support from organisations that do not threaten the centre’s independence nor its ability to assist and advocate on behalf of the refugees and migrants of Lesvos. The Legal Centre is found within the Mosaik Centre in Mytiline, a local Greek initiative which provides various crucial services for the refugees of Lesvos. The Legal Centre does not see itself as a provider of humanitarian assistance for the refugee population. We believe in solidarity, not charity. We are a legal and political project which aims to create meaningful change through advocacy, strategic litigation and engagement with the refugee movement. The Legal Centre builds on the experiences of the Legal Centre in Calais, which has through its indefatigable efforts successfully assisted in the transfer of isolated minors to the UK, as well as the launching of investigations by the french authorities into acts of police and fascist violence against inhabitants of the camp. Help us to defend and advance the rights of refugees and migrants on the island of Lesvos by supporting the work of our legal centre, a project run by lawyers, law students and interpreters from across the world. The Legal Centre is staffed by international volunteers from across Europe, aiming to provide solidarity with Greek lawyers and interpreters based on the Island. Europe is at a cross roads. Grass roots support and solidarity is needed at every level. Help us provide a voice for the refugees and migrants of Lesvos. Help us to build the Legal Centre.